A THEORY ABOUT WHERE THE FLIGHT MH370 IS. AUSTRALIA. WHERE IS THE FLIGHT MH370 ? ON WESTERN AUSTRALIA, I THINK. Looks like the plane is submerged somewhere west of the coast of Australia (but I think the plane landed in some desert place of Australia). The pilot was unable to save the flight. A man who has a customized flight simulator at home is a person who LOVES planes and to fly, not a villain. I still think that: This terrible event was an accident. What if everything was simpler and more POSITIVE ? Why no one gives a chance to pilot? 1 + And if it is true that cellphones of missing passengers still ring? 2 + Why the plane remained isolated while abruptly turned left ? 3 + Why the plane did not return to its starting point OR ANY OTHER AIRPORT ? 4 + Why fly the plane for more than 7 hours towards the Australian coast ?
" Missing Malaysia plane: What we know " a BBC work. ....because the pilot has no choice but to go there, the aircraft is in Australia (Western Australia ) at some point north or northeast of Perth. The pilot looking for a place to land, is a drifting flight. MH 370 Landed in some desert and uninhabited place of North or Northwest of Perth, i suppose. Western Australia (abbreviated as WA) is a state occupying the entire western third of Australia. It is bounded by the Indian Ocean to the north and west, the Great Australian Bight and Southern Ocean to the south,[b] the Northern Territory to the north-east and South Australia to the south-east. Western Australia is Australia's largest state with a total land area of 2,529,875 square kilometres (976,790 sq mi), and the second-largest country subdivision in the world – however, a significant part of it is sparsely populated. The state has approximately 2.5 million inhabitants (around 11% of the national total), and 92% of the state's population lives in the south-west corner of the state. + Suddenly, the left engine failed and the communication system was offline for some impact ( blast or computer chaos ) , the aircraft drifted to left for lack of another engine or did not return home because the navigation system was severely limited . They only can make a big curse o circle to the left and reduce altitude to reach land, Australia. The phones do not work underwater, but do work on the ground. How I can prove this theory ? 1 + A visual Inspection ,look on uninhabited desert areas of western Australia. 2 + If the plane has crashed maybe one seismograph detected the movement of the earth in that area in the expected time. INFO: Seismograph is another Greek term from seismós and γράφω, gráphō, to draw. It is often used to mean seismometer, though it is more applicable to the older instruments in which the measuring and recording of ground motion were combined than to modern systems, in which these functions are separated. Both types provide a continuous record of ground motion; this distinguishes them from seismoscopes, which merely indicate that motion has occurred, perhaps with some simple measure of how large it was. But I remember a movie of James Stewart : "The Flight of the Phoenix" 1965. On the plane traveled many engineers, right? The pilot had in his house a very expensive toy, a custom flight simulator. I trust in the pilot skill and the help of passengers and crew. THE FINAL TRUE WORDS FROM THE COCKPIT .... & NO MORE. + It may mean little to investigators that the last words air traffic controllers heard from the lost jetliner were "Good night, Malaysian three-seven-zero," rather than "All right, good night." The final words from the cockpit, and who said them, are of interest not only because there are few other clues to the disappearance, but because the communication occurred just a minute before the plane's transponders were shut off. The words were in English, as aviation communications are around the world. NO SOUND of gunfire, explosions, screams, cries, or foreign words, but suddenly the plane turns left and no one can contact him. Malaysian officials said more than two weeks ago that "All right, good night," were the last words, and that the co-pilot uttered them. They changed the account late Monday and said they are still investigating who it was that spoke. The discrepancy added to the confusion and frustration families of the missing already felt more than three weeks after Malaysia Airlines Flight 370 disappeared, and as of Tuesday officials had not explained how they got it wrong. 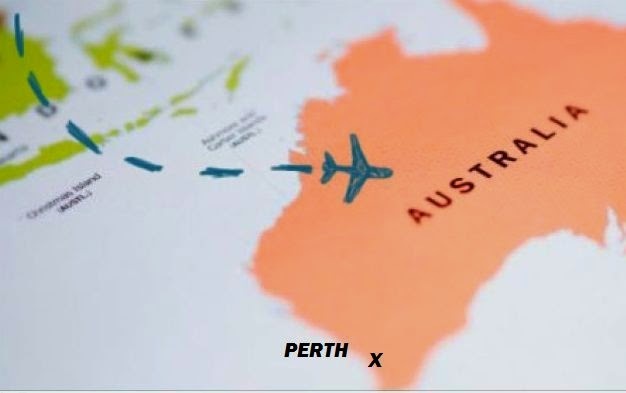 WHY THE AIRCRAFT MUST GO TO PERTH (AUSTRALIA)? .... GO LEFT ? Looks like the plane is submerged somewhere west of the coast of Australia. "Malaysia Airlines deeply regrets that we have to assume beyond any reasonable doubt that MH370 has been lost and that none of those on board survived,"
The airline said in a text message to the families, according to The Telegraph. + The Malaysian Prime Minister Najib Razak said a new analysis of satellite data indicated that the flight went down in the southern Indian Ocean. He gave no indication of exactly where in the Indian Ocean the plane was last heard from, but searchers have sighted possible debris in an area about 1,240 miles southwest of PERTH (Australia). PERTH is the capital and largest city of the Australian state of Western Australia. The majority of the metropolitan area of Perth is located on the Swan Coastal Plain, a narrow strip between the Indian Ocean and the Darling Scarp, a low coastal escarpment. + Malaysian authorities have not ruled out any possible explanation for what happened to the jet, but have said the evidence so far suggests it was deliberately turned back across Malaysia to the Strait of Malacca, with its communications systems disabled. They are unsure what happened next. Experts are baffled by the loss of communication, with some putting forward theories of mid-air bomb explosions, disappearance into an 'aeronautical black hole' and an attempt at electronic warfare. Authorities are considering the possibilities of hijacking, sabotage, terrorism or issues related to the mental health of the pilots. There is a simpler solution according to Occam's Razor: It's a horrible accident. OCCAM's RAZOR (also written as Ockham's razor from William of Ockham (c. 1287 – 1347), and in Latin lex parsimoniae) is a principle of parsimony, economy, or succinctness used in problem-solving. It states that among competing hypotheses, the one with the fewest assumptions should be selected. Other, more complicated solutions may ultimately prove correct, but—in the absence of certainty—the fewer assumptions that are made, the better. + Commercial pilot Robert Mark, who is editor of Aviation International News Safety magazine, said the site of the new search area off the coast of Perth in relation to the plane’s last-known location reduced the likelihood that it was hijacked. Mr Mark told MailOnline: ‘What I think is interesting is that if you look at where the plane was last seen on radar and where the debris has been found, it is almost a straight line. + He said the plane could conceivably have flown on auto-pilot for another five to six hours, possibly a maximum of seven, from its last-known location off the west coast of Malaysia before running out of fuel. 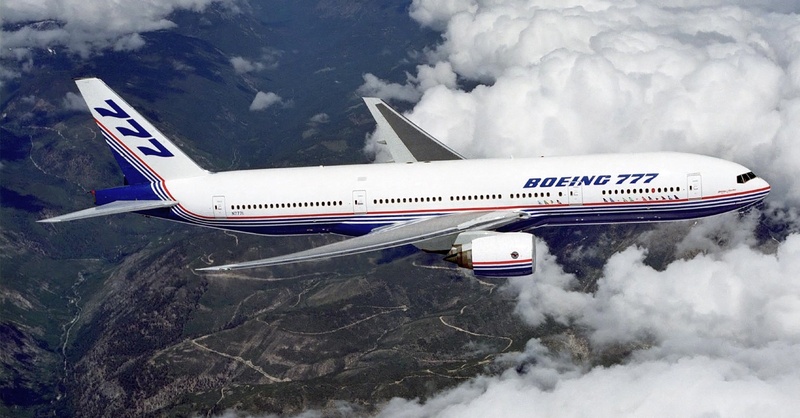 + The scenario also adds weight to speculation that a structural fault with the Boeing 777 could possibly be behind the plane’s disappearance with 239 people on board. The post Did MH370 Malaysia Airlines jet fly on auto pilot for five hours until it ran out of fuel? appeared first on Malaysia Edition. Why pilots not warned of the event to the control tower and asked for help? Why the plane did not return home? Why the plane flew seven hours to ... where? They can not to do something else. The plane is out of control but maybe they can to control the altitude. If they control the altitude then can to land. They can expect to have an opportunity. How you can lose both the communications system and the direction of flight SIMULTANEOUSLY? + I suppose the flight MH370 had a continuous tendency to turn to the LEFT. They will start flying in circle and have to try to control the direction and height of an unusual way..... GO LEFT (the flight goes to a place to touch down). They fly drifting to land on solid ground. ......because something is broken into pieces and these pieces have broken OTHER machinery (I guess the left engine exploded or to become broken down into components; disintegrate). + An account of the amazing survival of the passengers of a plane crash. Due to the preparedness of the local community where the plane went down, from years of practice on disaster training, and the refusal of the pilots to give up on the doomed plane, many people who might have died survived. Just before 4 p.m. on July 19, 1989, pilots of United Flight 232 faced thE unimaginable. With 296 people on board, they would try to land a DC-10 that had lost all hydraulics. Aviators have likened the crisis to driving a caR without steering. No training had prepared the experienced crew for such an emergency -- there were no procedures. According to flight manuals, it wasn't supposed to happen. But slightly more one hour into the flight from Denver to Philadelphia via Chicago, at 37,000 feet over Alta, Iowa, it happened. + United Flight 232 departed Denver at 14:09 CDT for a flight to Philadelphia. Cruising altitude was FL370. About 1 hour and 7 minutes after takeoff the crew heard a loud bang, followed by vibration and a shuddering of the airframe; the no. 2 engine had suffered an uncontained failure. It then appeared that the hydraulic pressure was zero. The DC-10 didn't respond anymore to flight control inputs and the descending right turn was arrested by using no. 1 engine power reduction. The air driven generator (ADG), which powers the no. 1 auxiliary hydraulic pump, was deployed but hydraulic power couldn't be restored. An emergency was declared at 15:20, and vectors to Sioux City were given by Minneapolis ARTCC. An off-duty training check airman was travelling on Flight 232 and offered his assistance. He was asked to manipulate the throttles to control pitch and roll, which was difficult because the plane had a continuous tendency to turn to the right The no. 1 and 3 thrust levers couldn't be used symmetrically, so he used two hands to manipulate the throttles. Sioux City Airport was sighted at 9 miles out, but the aircraft was aligned with the closed runway 22 (6600 feet long) instead of the longer (8999 feet) runway 31. Given the position and the difficulty in making left turns, the approach to runway 22 was continued. The aircraft approached with a high sink rate (1620 feet/min for the last 20 seconds) at an airspeed of 215 knots. At about 100 feet above the ground the nose began to pitch downward and the right wing dropped. The plane touched down on the threshold slightly left of the centreline, skidded to the right and rolled inverted. The DC-10 caught fire and cartwheeled. PROBABLE CAUSE: "The National Transportation Safety Board determines that the probable cause of this accident was the inadequate consideration given to human factors limitations in the inspection and quality control procedures used by United Airlines' engine overhaul facility which resulted in the failure to detect a fatigue crack originating from a previously undetected metallurgical defect located in a critical area of the stage 1 fan disk that was manufactured by General Electric Aircraft Engines. The subsequent catastrophic disintegration of the disk resulted in the liberation of debris in a pattern of distribution and with energy levels that exceeded the level of protection provided by design features of the hydraulic systems that operate the DC-10's flight controls." + The hydraulic system is broken and the aircraft climbs unable to descend. + The crew using the available water (Water closed) to descend in a single attempt..... introducing water in the hydraulic system. + .... and distributing passengers inside the plane according to the laws of physics for landing at the airport. As Boeing's first fly-by-wire airliner, it has computer-mediated controls; it is also the first entirely computer-designed commercial aircraft. The fly-by-wire system: Boeing decided to retain conventional control yokes rather than change to sidestick controllers as used in many fly-by-wire fighter aircraft and in many Airbus airliners. Along with traditional yoke and rudder controls, the cockpit features a simplified layout that retains similarities to previous Boeing models. The fly-by-wire system also incorporates flight envelope protection, a system that guides pilot inputs within a computer-calculated framework of operating parameters, acting to prevent stalls and overly stressful maneuvers. This system can be overridden by the pilot in command if deemed necessary. The fly-by-wire system is supplemented by mechanical backup. 1rst + The left engine exploded and shrapnel destroyed the hydraulic system and the communication system simoultaneously : a catastrophic event . 2nd +The flight MH370 had a continuous tendency to turn to the LEFT. 3rd + They will start flying in circles (a great circle to left) and have to try to control the direction and height of an unusual way to go to Australia. Summarizing: I suppose the pilot attempts to control the plane and fails in the attempt. The-fly-be-wire control was broken catastrophically for unknown reasons and the plane was left adrift to left, to Western Australia. "One thing is certain", he (Poirot) pronunced,"It must be a very simple crime". "Simple?" I demanded in some astonishment. "Why must it be simple?" "Because it appears so complex. If it has necessarily to appear complex, it must be simple. You comprehened that?". WHY THE MURDERER WANTS OR WISH TO BE IDENTIFIED WHITH THE NAME AND SYMBOL OF A CLOCK? SYMBOL, WATCH, COSTUME & PINS........... WHY? 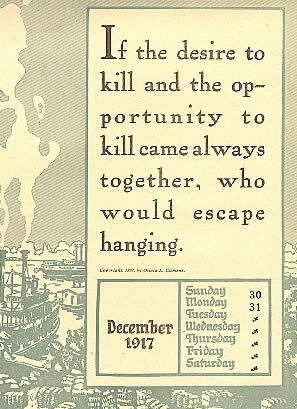 __Because as Mark Twain wrote: "If the desire to kill and the opportunity to kill came always together, who would escape hanging?" __Thus the murderer should hide his tracks and not show their identification, except that he wants to deceive us because it is too obvious who has reason to kill. Robert Graysmith's book Zodiac advanced Arthur Leigh Allen as a suspect based on circumstantial evidence: He owned and wore a Zodiac brand wristwatch. Did suspect Arthur Leigh Allen really wear a watch with the Zodiac's symbol on it? __Yes. 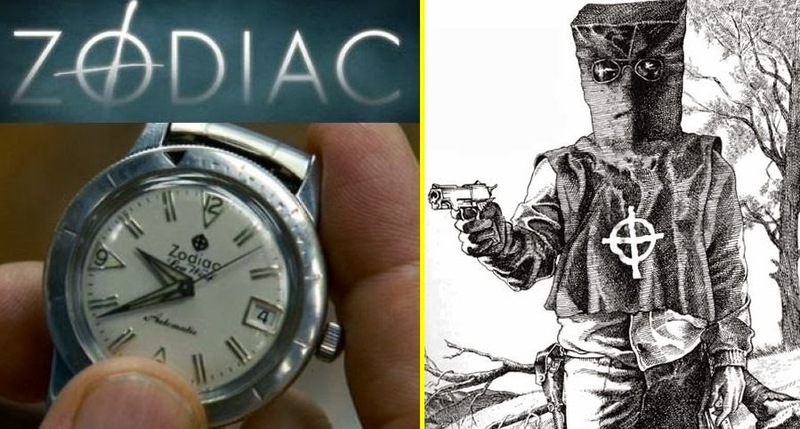 The movie (ZODIAC) shows Zodiac suspect Arthur Leigh Allen wearing a watch that bares the killer's symbol and the brand name Zodiac. The real Arthur Leigh Allen wore an identical watch, the Zodiac Sea Wolf watch. Robert Graysmith commented on this in an interview, "To use the symbol ... to wear that watch, and to be at the crime scenes and to know the victims ... he would have to be the Zodiac." Arthur Leigh Allen was the prime suspect in the Zodiac murders and the only suspect served search warrants by police. He was never charged with any Zodiac-related crime, and his fingerprints did not match those left by the killer of taxi cab driver Paul Stine. In 1991, 23 years after the shootings, survivor Michael Mageau identified Allen as the man who shot him, from a photo lineup of 1968 driver's licenses. Allen, who suffered from diabetes, died in 1992 from kidney failure. 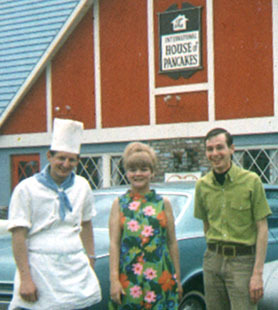 Zodiac victim Darlene Ferrin posing with a coworker and another friend at the International House of Pancakes (I-HOP), where she worked as a waitress in 1966-67. The I-HOP is located less than one-tenth of a mile from where Arthur Leigh Allen lived in the 1960s. In 2002, SFPD developed a partial DNA profile from the saliva on stamps and envelopes of Zodiac's letters. SFPD compared this partial DNA to the DNA of Arthur Leigh Allen. A DNA comparison was also made with the DNA of Don Cheney, who was Allen's former close friend and the first person to suggest Allen may be the Zodiac Killer. Since neither test result indicated a match, Allen and Cheney were excluded as the contributors of the DNA, though it cannot be stated definitively that it is DNA from the Zodiac on the envelopes. The Zodiac murdered seven people between December 1968 and October 1969. THE CLASSIC MOLD OF A SERIAL KILLER ? In looking at what may have been the motivation behind the Zodiac killer, Voigt suggested that his habit of writing taunting letters to the press may be a critical clue, since the actual murders do not fit the classic mold of a serial killer. "He only had a handful of victims, but he had 20 letters," Voigt said, "it tells me that what was really important to him was what he put in his letters." As such, he observed that these letters served to mock the police, frighten the public, and, ultimately, create "a whole big mess." While this motivation may suggest that the Zodiac was merely an egomaniac driven by the desire to gain perverse notoriety for his crimes, Voigt was skeptical of this theory. Conversely, he surmised that the killer stood, somehow, to gain from both occupying police resources and attention as well as making law enforcement look inept. Many of the confirmed victims targeted (6 of 7) were couples in popular make-out spots who were gunned down IN A CAR or stabbed by a man. And having a spot popular with local teenagers cruising after dark like Lake Herman Road (Benicia), the parking lot of Blue Rock Springs, a golf course in Vallejo, & Lake Berriessa (Napa). After brutally stabbing two lovers at a local lake one survivor described him as wearing a black executioner’s-type hood with clip-on sunglasses over the eye-holes wearing a bib-like device on his chest that had a white cross-circle symbol on it. The murderer was also observed by three teenagers across a street of San Francisco, who called the police while the crime of the cab driven was in progress. 1 Who wants to kill two teenagers? 2 Who wants to kill an adulterous wife and her lover? 3 Who wants to kill a couple of young lovers? 4 Who wants to kill an unknown taxi driver? 1 NO ONE because they are too young. The first murders widely attributed to the Zodiac Killer were the shootings of high school students Betty Lou Jensen (16) and David Faraday (17). The couple were on their first date and planned to attend a Christmas concert at Hogan High about three blocks from Jensen's home. The couple, instead, visited a friend before stopping at a local restaurant, and then driving out on Lake Herman Road. 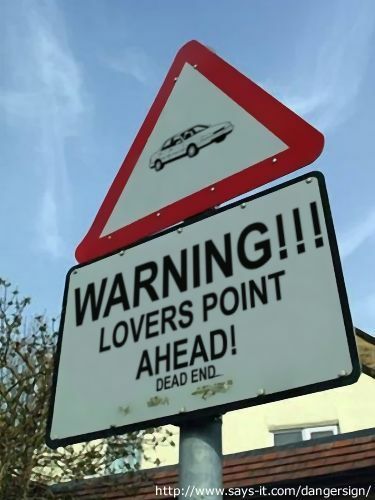 Faraday parked his mother's Rambler in a gravel turnout, which was a well-known lovers' lane. They are chosen randomly. 2 THE CUCKOLD Just before midnight on July 4, 1969, Darlene Ferrin and Michael Mageau drove into the Blue Rock Springs Park in Vallejo, four miles from the Lake Herman Road murder site, and parked. The killer directed the flashlight into Mageau's and Ferrin's eyes before shooting at them. Both victims were hit, several bullets passing through Mageau and into Ferrin. After firing five shots, the man turned and headed back towards his car. Michael Mageau screamed in pain, and the suspect returned and fired two more shots into each of them. Michael was hit four times, Darlene five. He wants to kill them. Darlene Ferrin & Mike Mageau, they must be killed and so the murderer shoots them again. Obviously Ferrin's husband, Dean, was initially a suspect in the murder, however was ruled out once it was established he was working as a cook at Caesar's Restaurant at the time of the murder. Ferrin's first husband, James Phillips Crabtree, was also briefly a suspect. 3 WHY? Conversation between the victims and the man with glasses approaching them wearing an VERY unusual costume and holding a gun occurred...He stabbed the couple.... and left them alive : Bryan Hartnell (20) had remained conscious throughout Cecelia's (22) attack, The couple began yelling for help. He began to crawl for help. However, he had lost so much blood that he could barely move. He survived but Cecelia Shepard passed away three days later as a result of her injuries from the Zodiac's knife. Does he really want to kill them? 4 A Thief because he steals personal items. A chosen randomly cab driver is sent to an address and is tricked. One shot & one died instantly. Soon Zodiac will send pieces of the bloody shirt of the driver in the letters. + So there is ONLY PERSON one good reason for killing Darlene Ferrin and her lover: THE HUSBAND but he has an alibi. So he needs an assistant, someone who wants to do the same....but WHO? The murderer was observed by three teenagers across a street of San Francisco, who called the police while the crime of the cab driven was in progress. + This is the story of how two people (husband & friend) killed a woman ( adulterous wife) , and others to cover up his crime. + Like Agatha Christie's Novel "clocks" the watch is an object to incriminate a person with a bad reputation: Arthur Leigh Allen. + Arthur Leigh Allen as a suspect based on circumstantial evidence: He owned and wore a Zodiac brand wristwatch. + The person responsible for the first two murders was a "friend" of the husband, and the penultimate & last murder were carried out by the husband. He robbed & killed the cab driver because he need to send messages without murders because the goals have been met. + Logically, Arthur Dean Ferrin is the murderer and then his helper is .... or is his master? 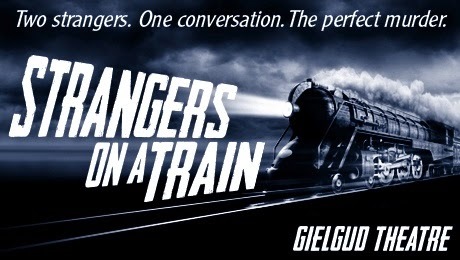 .... is another person who also wants to kill as in the novel "Strangers on a Train". is a psychological thriller novel by Patricia Highsmith about two men who meet and agree to "trade" murders so that neither will be a suspect in the death of their respective victim. future ADDENDA ET CORRIGENDA IN PINK. His private life is a disgrace. The awful things that rabbits do"
You only mention them in hints. It only can live underground."